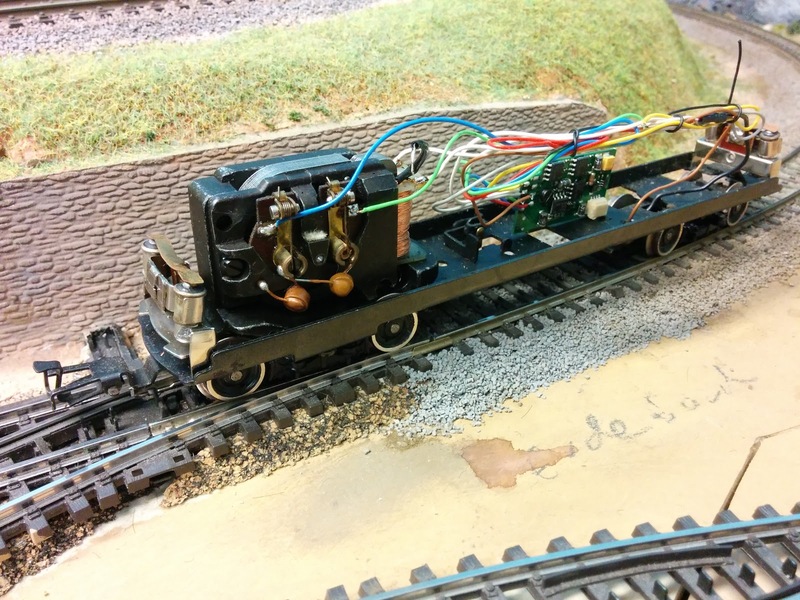 This is Maerklin's 3021 model of V200 006. This model must have been produced around 1958, since Maerklin used the 200 006 number only from the introduction of the model in 1957 to 1959 (see this link for a description of the various model versions). 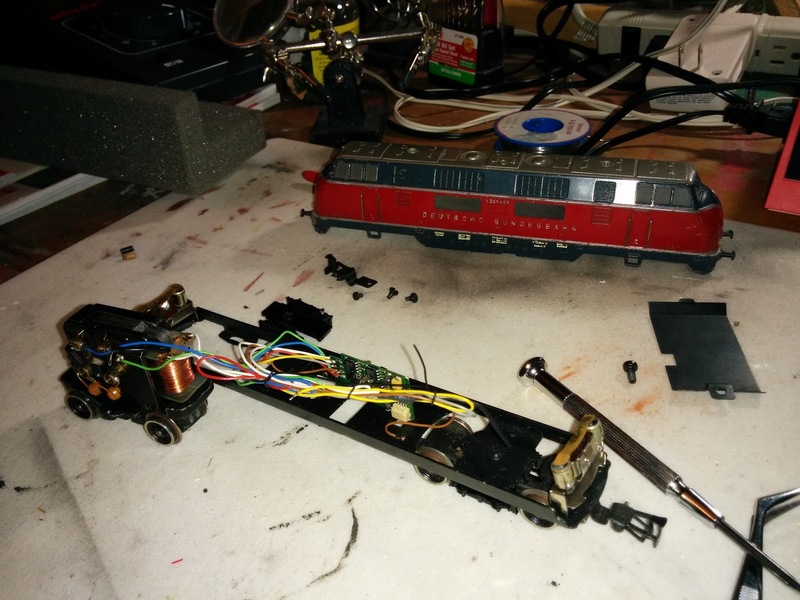 I've installed an Uhlenbrock 76200 multi-protocol decoder which also has cabling for driving the original Maerklin motors without turning them into a DC motor first as I usually do. And yes, the old lady is now being tested on the Welztalbahn.